A rogue casino is also known as a rogue online casino, a scam casino or a fake casino. This is a basically a gambling portal which has stitched one or more players up out of their hard-earned cash. The most common complaint from a rogue casino is that the casino hasn’t paid out rightful winnings or that the withdrawal process has taken far too long. Rogue casinos are often controlled by ruthless operators who have no intention of paying out any winnings, so they must be avoided at all costs. You will also find that rogue casinos offer little or no support, or that the support which they do offer is either unhelpful or unresponsive. Most rogue casinos will not have a proper gaming license, or they will pretend to be licensed by an authority when they in fact they are not actually licensed by that authority. This will leave you with absolutely zero legal backing when some kind of issue does eventually arise. This can be really frustrating. Some online casinos have even been known to use the logos of licensing jurisdictions or online casino testing agencies just to appear ‘above board’. Fortunately though, there are very few rogue casinos online today, but they do exist so you should always make sure you carry out your own basic research into an online casino before you do actually sign up. The great thing about the casinos which are featured on this site is that none of them are rogues. 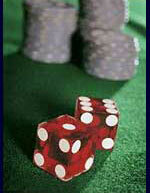 Our selection of online casinos account for some of the best online casinos in the world. Some of today’s rogue online casinos are quite easy to spot, but others are becoming much harder to spot. You can generally get a good idea as to whether the casino can be trusted or not by contacting the support and asking them a few questions such as who controls the casino, where is it licensed and who monitors the payout reports etc. You should also take a few minutes to read through the casino’s policies and terms and conditions before registering your details. It has also been known for some online casinos to pass on your details to the highest bidder, but this would NEVER happen in any of our most highly recommended online casinos. Our casinos will never scam you out of your hard-earned cash, they will always follow through with any bonuses that they offer and the support will always be there on standby, usually 24 hours per day. The player support at each of our top-rated online casinos is friendly, helpful and should any kind of issue arise, you can pretty much guarantee that it will be resolved in no time at all. All of these casinos are controlled by trustworthy operators, they are all licensed by reputable authorities and they are all monitored by internationally accredited online casino testing agencies. Always make sure that you read through several reviews for the same casino in question before you do open an account with them.